An article recently published about the grossly underfunded Kentucky State Retirement System suggests that gambling on high fee hedge funds and private equity funds, and the use of placement agents, were primarily to blame. For many readers, it was likely a persuasive article. Quotes from scared retirees who have dedicated their lives to public service and are now rightly worried about their retirement benefits would pull on anybody’s heartstrings. The article was also potentially quite dangerous because it was fraught with inaccuracies and prejudices that, if taken as fact, could have severe negative effects on decisions made by other public pension funds and politicians. For more than three decades, I have seen the various organizational structures and decision making processes of public pension funds across the country. My knowledge and experience come from 12 years of service on the investment committee of a public pension and my previous roles as the head of institutional asset management sales for two of the largest asset managers in the world (NationsBank which acquired Bank of America and assumed their name, and Merrill Lynch Investment Managers, now part of BlackRock.) where a large percentage of public pension funds were clients. In this article, I address only the asset side of public pension funds, and not the liability side, or future benefits promised to public employees. I also limit my comments regarding alternative investments to hedge funds, since I do not have similar experience or knowledge of the private equity market. In contrast to corporate pension funds, there is no federal oversight requiring annual contributions for public pension funds. For more than 40 years, corporate pension funds are governed by the Employee Retirement Income Security Act (ERISA) that requires companies to make annual contributions to the pension fund. ERISA was enacted following the closure of Studebaker Corporation’s manufacturing plant, which saw 38% of its pensioners receive lump sum payments valued at roughly 15% of the actuarial value of their pension benefit, and 27% of its pensioners with no pensions. With these reforms in place, U.S. corporations’ pension contributions are calculated based on a combination of the increase in liabilities incurred over the past year, and a requirement to reduce a portion of any unfunded liabilities. Municipalities have no such requirement. Facing budgetary pressures, they can elect to reduce or potentially eliminate their annual pension contribution. This can, of course, have huge ramifications for the funding status of their public pension fund. This was the situation with the Kentucky Retirement System among many other public pension funds. There should be federal legislation passed regarding annual contributions to public pensions. Again in contrast to the rules governing corporate pensions, there is no federal oversight on the discount rate used to calculate the value of unfunded liabilities of public pension funds. Corporate pension funds have to determine the discount rate they use to calculate unfunded liabilities based on current interest rates. As interest rates decline they are required to reduce their discount rate accordingly. Lower discount rates increase the present value of future liabilities and magnify the unfunded portion. Conversely, higher discount rates decrease the present value of unfunded liabilities. For U.S. public pension funds, the discount rate is left to politicians’ discretion. Unfortunately, they are often conflicted and, as such, short sighted. Instead of making difficult and potentially unpopular decisions in the best interest of the pension fund, they make decisions which will enhance their chance of being re-elected. By choosing higher discount rates, politicians lower the value of unfunded liabilities and ultimately make the short term budget look artificially more attractive. Many public pension funds’ discount rates are in the 7.5% range. This is far higher than current interest rates or any market estimate of interest rates over the next several years. As a point of comparison, this is significantly higher than corporate pension funds which are using discount rates in the 4-5% range. This higher rate significantly underestimates the true cost of the unfunded liabilities of many public pension funds. The discount rate used by public pensions should be governed by a federally mandated calculation. 3. Organizational structure and investment knowledge. There are a wide range of organization structures and broad inconsistencies in the investment knowledge of the staff charged with investing public pension assets. While some of the brightest and most innovative investors I’ve met work for public pension funds, many of their counterparts at other funds are not their professional peers. An internal investment team that is properly staffed and compensated to attract, motivate and retain high quality investment professionals. An investment consultant who acts as a resource that can be leveraged by the internal investment team but not followed blindly. Today, only a small minority of public pension funds have this three-legged structure. Many municipalities have very small budgets devoted to their internal investment staff which results in under-staffed teams often hindered by municipal compensation standards. Many of these teams are responsible for managing tens of billions of dollars. This is not an area where cost savings should be made. It is imperative that they have the best talent possible managing the pension assets. In addition, there are many public pension funds whose board of directors and/or investment committee has few, if any, members with investment knowledge. In the case of Kentucky, it was not a requirement until recently that anyone on the oversight committee had any investment knowledge at all. Many of these boards/committees are filled with public service representatives (fireman, police, teachers, transit workers) who are smart people, with only good intentions, but who have little or no experience in the capital markets. This structure has to change and there should be some federal oversight driving this change, because it is not happening at the local level. Until then, if a public pension fund lacks investment professionals with sufficient knowledge and experience, they would likely do much better to index their portfolio. Manager selection is not simple or easy and it is unlikely that understaffed and/or underqualified pension managers are doing a very good job selecting long only or alternative managers. This three-legged structure has been adopted by many of the top endowments and foundations over the past couple of decades, but it was not always that way. Twenty-five years ago, only a handful of top endowment funds, such as Yale and Harvard to name a few, had high quality internal investment teams. Since then many have built out their investment teams and decoupled their compensation structure from the rest of the organization in order to effectively compete for top talent. They have also created investment committees that comprise senior people in the investment industry with very strong investment knowledge. They often engage a consultant to enhance their asset allocation analysis. In a number of cases where the internal investment staff has authority to make individual investment decisions independently, the staff conducts its own manager research and selection decisions, while in other cases a consultant may enhance manager research and work together with staff on manager selection decisions. – This is the model toward which most large public pensions need to evolve. Decisions made by the investment team must be done so independently and not influenced by politics. It seems the only way this is going to happen is with some federal oversight. To prevent future conflicts, I would also recommend that former public pension employees and trustees be prohibited from selling anything to their previous employer. 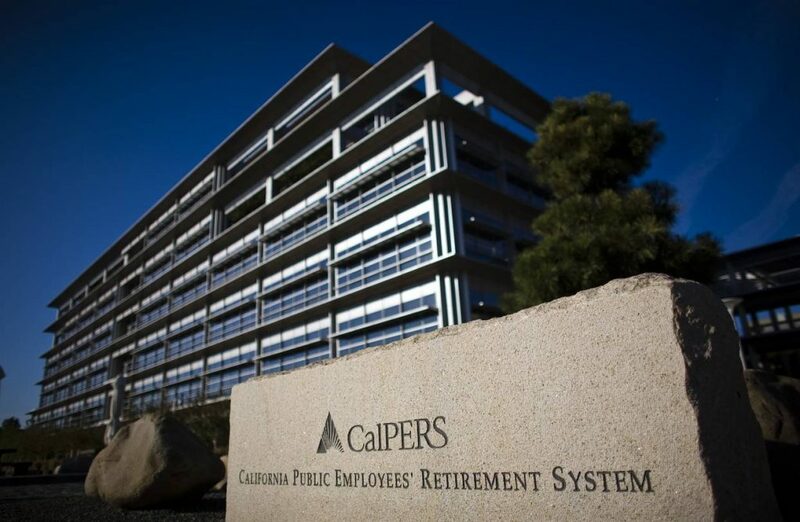 These last 2 issues (organizational structure and politics) have also led to high profile criminal activity at public pension funds including CalPERS and New York Common Fund. One does not hear about similar issues with corporate pensions, endowments, foundations or family offices. There needs to be federal oversight, similar to that which exists for ERISA pension funds, to address all four of these issues and protect the interests of the millions of people who rely on public pensions. Is investing in hedge funds and private equity gambling? 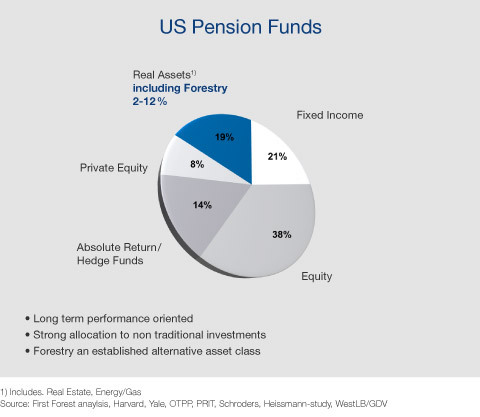 Let’s look at the facts and review why pension funds invest in hedge funds and why that allocation has increased significantly. Public pensions invest in hedge funds in order to increase diversification, reduce downside volatility and enhance returns. Typically, pension fund boards of directors, investment committees, and internal staff meet annually, often along with their investment consultant, to determine their asset allocation. Their objective is to maximize return for an acceptable level of risk. After agreeing on a number of inputs, they most often use an optimization model to determine the asset allocation with the highest expected return for a given level of volatility. Unfortunately, these models have proven to break down during severe market sell-offs because the inputs are dynamic. When markets sell off, correlations across asset classes, and within strategies of long only investment managers, tend to rise significantly. When combined with a spike in volatility, this creates much more tail risk than originally perceived. We saw evidence of this during the market sell-off of 2008. Many pension funds thought they were highly diversified among their long only investment strategies, but sustained larger than expected losses across their portfolios as the correlation of returns between strategies and managers increased. This was the catalyst that led many investors, including pension fund managers, to add to their hedge fund investments. Many hedge fund strategies have very low correlations to the capital markets benchmarks and some have the potential to become negatively correlated during a market sell-off. This was seen in 2008 when a few hedge fund strategies posted positive returns. Can hedge funds increase the forward-looking returns of pension funds? Many people have pointed out that hedge funds have underperformed the S&P 500 and by simply investing in the index they would have done much better. Of course, the same could be said about the S&P 500 when compared to almost any asset class including long only equity mutual funds. Long only equity portfolios can be very volatile and can sustain significant declines for long periods of time. For example, the US stock market declined over 80% during the Great Depression and took 23 years to recover. The Japanese Nikkei index hit an all-time high of approximately 39,000 in 1989, and almost three decades later is still a little above half its all-time high. As fiduciaries, public pension fund managers will not accept the risk associated with investing in long only equities alone. Most public pension funds are heavily under-funded, and even for those who are not, a prolonged sell-off in the equity markets would leave many pension plans unable to pay benefits without increased funding. This would occur at a time when state and local governments can least afford to make additional contributions to these plans. If you cannot invest 100% in equities where else can you invest? Historically, fixed income has been an appropriate counterweight to equity portfolios. However, with yields so low, return expectations are also low. I estimate that pension funds have generally been using a return target for core fixed income of 3% to 4% over the past few years, while for hedge funds their expected return has been 4% to 7%. This is another reason hedge fund allocations have increased. There has been a lot of criticism about the performance of hedge funds. But, look how they have done in comparison to fixed income. Over the 3 year period ending the 3rd quarter of 2018, the Bloomberg/Barclay US aggregate bond index annualized return was 1.35% while the hedge fund HFRI Fund weighted index returned 5.34%. Pension funds that took money out of a core bond index and invested in hedge funds would have added about 4% extra return annually over the 3 year period. I would also make the argument that a skilled investment team should be able to do much better than the HFRI index, because the hedge fund index is made up of thousands of managers the vast majority of whom are not very good. There has also been a steady drumbeat of complaints about hedge fund fees at the 2% percent of management fee and 20% of performance fee structure. Large pension funds should be paying fees significantly below that and, in fact, most are.The hedge fund industry has been under enormous fee pressure and, in response; most hedge funds’ standard fees are below 2 and 20. Further, many will scale or negotiate their fees for larger accounts, providing meaningful discounts for large pension funds. Investors can also consider investing with emerging managers who will typically offer founders share fees that can be fifty percent less than standard fees if not lower. What is the role of placement agents/third party marketers – do they add value? As a former Head of Institutional Asset Management Sales for two of the largest asset management firms in the world, head of sales for the second largest hedge fund in the world and currently the CEO of Agecroft Partners, I have seen the differences between how long only managers, alternative investment firms and third party marketing firms market their investment strategies to pension funds. Many of the largest long only managers have public fund salespeople responsible for developing strong relationships with the staff of public funds, as well as investment committee members and trustees. They hope to leverage these relationships to get business for their organizations and have raised hundreds of billions in assets over time. These salespeople attend numerous public fund conferences each year where they build relationships with public fund officials over meals, golf, coffee and cocktails. This approach is atypical for most hedge funds. 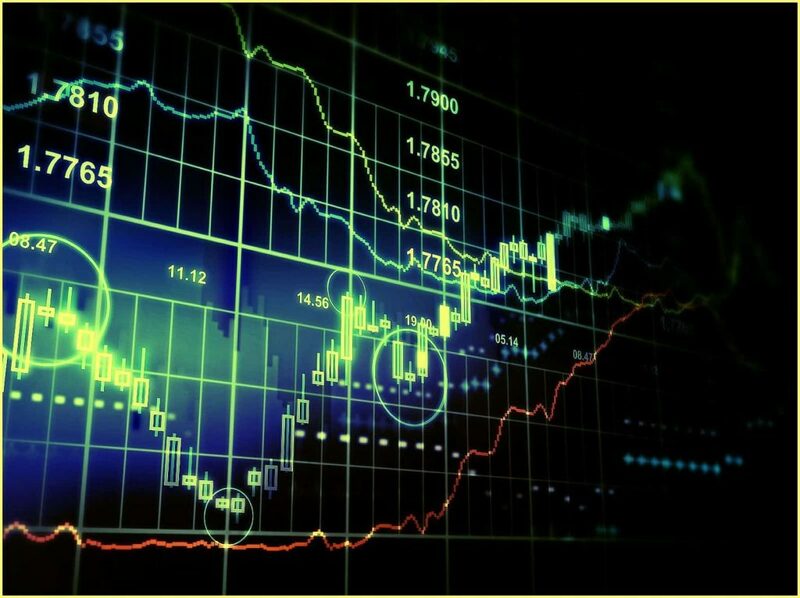 Their primary marketing strategy is to contact the investment staff of the public fund or their consultant and provide a substantive explanation for the merits of their fund both in absolute terms, and on a relative basis versus their competitors. Hedge fund organizations typically have small teams, especially relative to long only managers, and have two options for raising assets. One is to hire people internally which increases their fixed overhead costs regardless of how successful the firm is in raising assets. The other is to outsource their marketing efforts to a third party marketing firm whose cost is typically structured as a success fee. In both of these options the sales expense is paid entirely from the operating budget of the hedge fund entity and there should be no expense to the investor. The news story I referenced at the start of this article noted that “the success of many placement agents depends on their willingness to pay to play.” Placement agents are governed by FINRA and the SEC. “Pay to play” is illegal and potentially punishable by imprisonment. Suggesting it is the norm is absurd. Are third party marketing firms more likely than internal sales staff to commit criminal activity by “paying to play”? There is no sensible reason why this would be the case. Several years ago, the third party marketing industry was tarnished by two high profile “pay to play” scandals regarding public pension funds, CalPERS and the New York Common Fund. In both cases people with close ties to each retirement system were responsible for the criminal activity, which is why I believe there should be a law prohibiting former employees and other related parties from selling to a retirement systems. Further, lobbyists should not be permitted to sell investment funds to public pension funds. Independent marketing firms are also free from the moral quandary facing internal hedge fund salespeople. Investment strategies can easily fall out of favor and at times become wholly obsolete, making them incredibly difficult to sell. This might happen because a key portfolio manager has left the firm or the strategy just stopped working. This leaves sales people at those firms with two choices: quit their job and try and find another one (obviously a difficult thing to do), or keep working for the same firm selling a product they know is subpar. At times, marketers are also recruited with lucrative pay packages to work for funds with an average offering (or worse). In contrast, top third party marketing firms have the ability to be extremely selective with whom they choose to work. If at any point the firm believes one of its managers is no longer competitive for any reason, it can stop marketing that manager and move on to find investors for a fund that it believes in. The outsourced nature of the third party marketing industry allows the top firms to think and act freely, instead of being cornered into selling subpar products at the mercy of a paycheck. Article written by Donald A. Steinbrugge, CFA – CEO, Agecroft Partners.